This blog has been quiet for some time because I was quite busy with all kind of stuff. 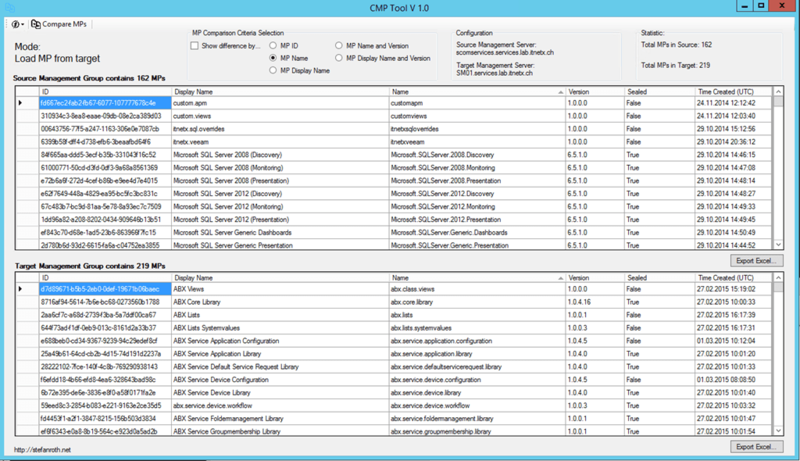 Anyway, this time I would like to share a tool I created to compare management packs in SCOM /SCOM or SCOM/SCSM, SCSM/SCSM management groups. In real life it is hard to compare the current management packs installed in management group A (Source) versus management group B (Target). 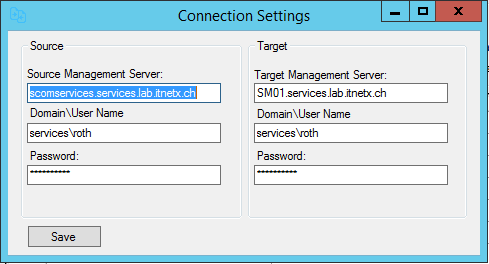 This happens for example, if you want to have a comparison between your SCOM integration environment and your production environment. You probably want to know which management packs are equal in both management groups or which are missing in management group A and which management packs are missing in management group B compared to each other. 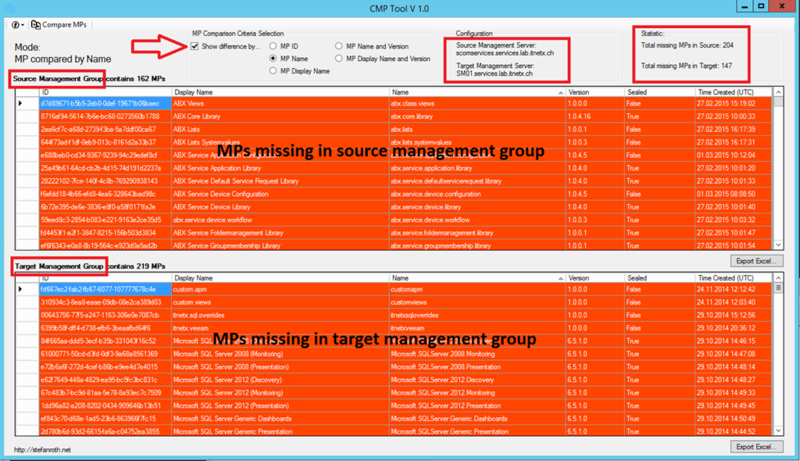 The tool looks like this..
Because you are able to connect to each management group separately and create the “MPSource.xml” and/or “MPTarget.xml”, you are able to compare management groups which are not connected through the network nor reachable in any way. 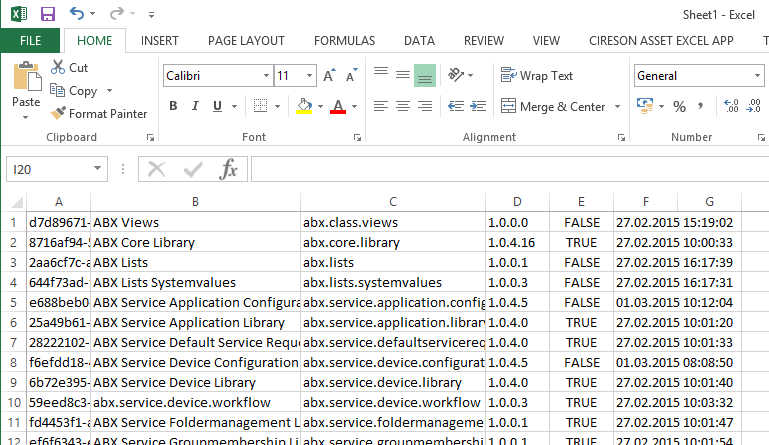 Just copy the tool to each management server, connect and create the XML files. 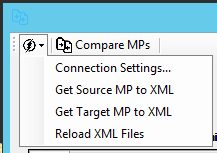 Then copy both files “MPSource.xml” and “MPTarget.xml” into the same directory and run the tool offline. Cool huh? 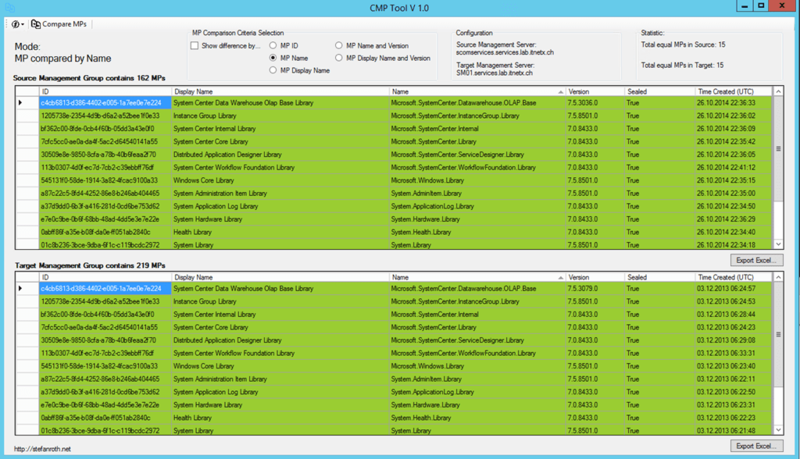 The cool thing is, you are able to connect to SCOM 2012 and SCSM 2012 management groups. I have tested the tool, but let me know if you run into a problem…. Nice tool. Will this compare the actual pack contents as well? Or just the names/ids/versions? Thx, well I just compare the properties name, display name and combination of it like name + version. If you use correct versioning of your MPs it works perfectly. Probably in most cases you just want to compare name + Version to figure out if you updated or installed a management pack. I know, my goal was / is not to replace nor copy Silect. My intention was/is to build a small tool to compare quickly in a light weight way, for free :). If you are comfortable using Silect and you have the money go for it.